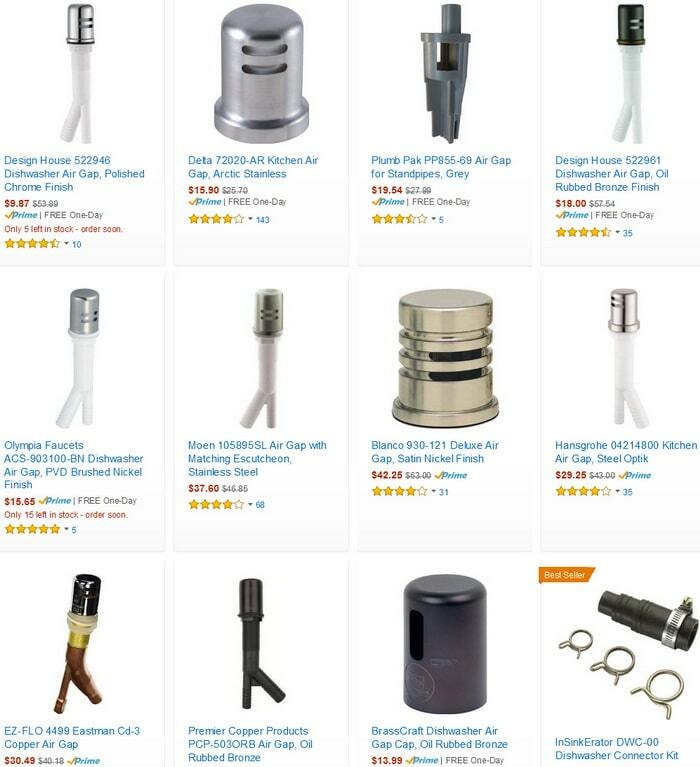 What is the difference between a dishwasher high loop and an air gap (anti siphon)? Which one is a better method to prevent water entering the bottom of dishwasher? The purpose of a dishwasher high drain loop is to prevent back flow of water. The water can flow back into the dishwasher which will leave water in the bottom of the dishwasher. The high drain loop is also there to prevent improper drainage of water while the dishwasher is running. The high loop does not prevent siphoning. The purpose of a dishwasher air gap or anti-siphon is to prevent the siphoning and back flow of water. The water can flow back into the dishwasher which will leave water in the bottom of the dishwasher. The air gap or anti siphon prevents siphoning if sinks are drained simultaneously. Both the HIGH LOOP and AIR GAP methods prevent the drain water from your sink from routing into the bottom of your dishwasher when you drain your kitchen sink. 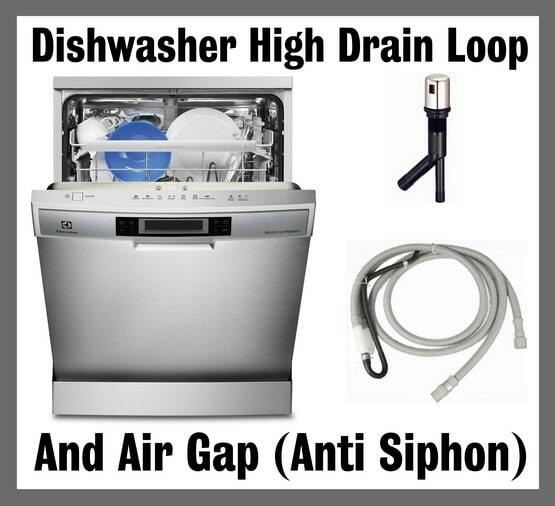 The anti-siphon method is best as the air gap makes it unlikely for dirty water and bacteria to reach the dishwasher. The high loop method may become an issue if both of your kitchen sinks are drained at the same moment. If the kitchen sink was clogged partially, the draining water may reroute into the bottom of your dishwasher. If water gets into the bottom of your dishwasher then when you start the dishwasher for its initial wash cycle, the waste water is combined with the clean water and may not clean your dishes completely. When the dishwasher is in its drain cycle, you will hear a gurgling noise coming from the kitchen sink drain. If any water or waste is backing up the line, there is some issue with the drain itself. 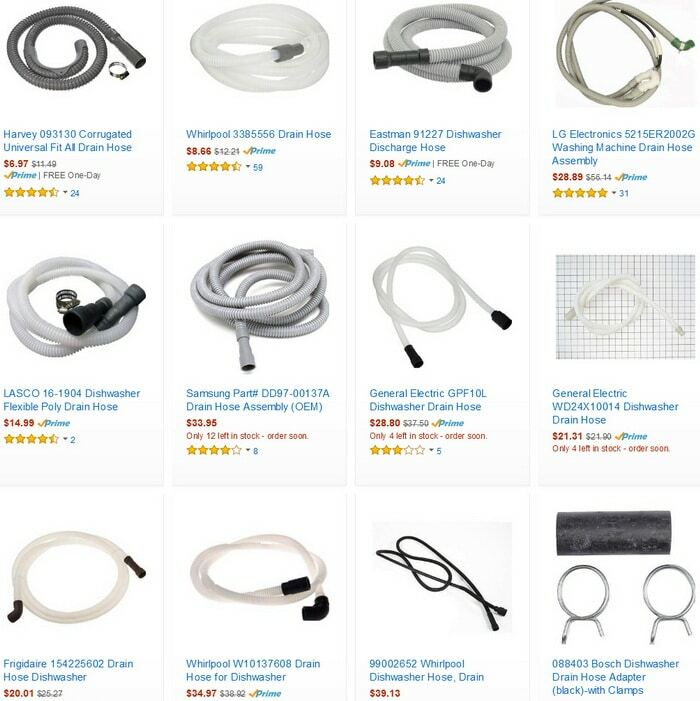 Installing a high loop is very easy compared to an anti-siphon (air gap) device will involve drilling the kitchen sink or counter top so you can install the anti-siphon. Some kitchen sinks have a hole already and this hole may be used for the anti-siphon or air gap device. Previous post: Can I Wash Whites And Colored Clothes Together If I Use Cold Water?